Тhis very large Buddhist painting on hemp cloth from Korea is one of a pair that would have originally been placed inside the entrance of a temple. Buddhism was oppressed during the early Choson period (AD 1392-1910) but gained more respect after the Japanese invasion of Korea in 1592, when Buddhist monks organized armies and fought against the invaders. 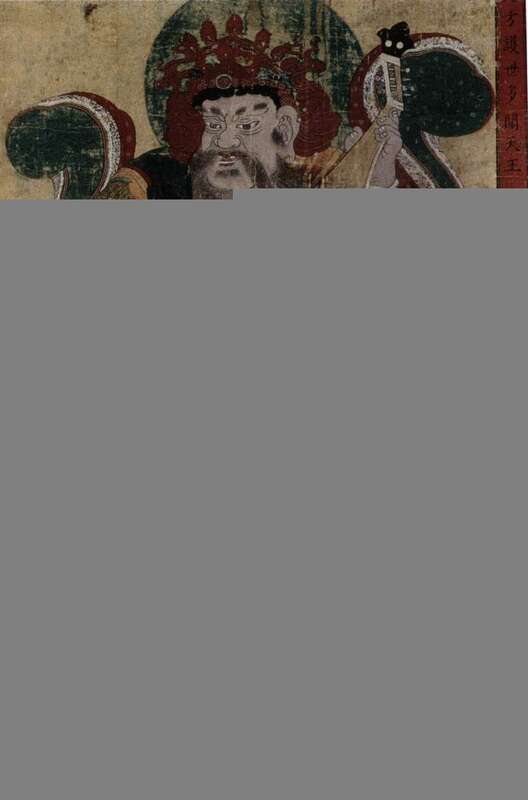 This painting is from late in the Choson period, when Buddhism became more active. The four guardians of the north, east, south and west were the defenders of Buddhism. The figure in this painting is playing a lute which is an attribute of Dhratarastra, Guardian King of the East. The huge size of the canvas (3 m high), the dynamic and decorative lines and the combination of mineral colours are typical of Buddhist paintings from Korea.